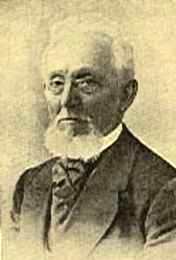 Mendele Mocher Seforim (Shalom Jacob Abramovitsch) (1835-1917) was born in Kapulye, Belorussia. He left his home town after his father`s death, at the age of thirteen, and wandered through Lithuania, studying at various yeshivot. From 1858 to 1869 he lived in Berdichev, a relatively large town with an intellectual Jewish circle. Here, with the financial support of his father-in-law, he was able to devote himself to secular learning, to writing and subsequently to publishing. He took an active part in public life: he founded a philanthropic association to help the poor and his Yiddish play, The Tax (1869), denounced the infamous meat-tax which fell heaviest upon the poor. The young Mendele demanded that contemporary Hebrew literature be actively involved in current problems of the Jewish community. He advocated teaching the sciences to the masses of Jews and claimed that people should be helped to attain a secular education in the spirit of the Haskalah. During those years Mendele wrote literary and social criticism and works of popular science in Hebrew, as well as Hebrew and Yiddish fiction. In the 1870s, Mendele devoted himself to the compilation and translation into Yiddish of traditional Jewish literature. At the same time he published the first version of his allegorical novel, The Nag (1873), and his allegorical poem, Yudel (1875). He also produced "practical literature" such as a calendar which included information in Yiddish on natural sciences and Jewish history, and a Yiddish translation of the regulations concerning compulsory service in the Russian Army. Although Mendele began writing in Yiddish for the practical purpose of reaching a larger reading public, he eventually came to regard his Yiddish works as possesing intrinsic artistic value in their own right. He wrote in both Hebrew and Yiddish throughout his career, writing predominantly in Yiddish. Writing in both languages resulted in interaction between his Hebrew and his Yiddish style. In 1881, Mendele was invited to serve as the principal of a new school established by the Odessa Jewish community. By this time his prestige as the "grandfather of Yiddish literature" was firmly established. But the Hebraic-Zionist atmosphere then prevalent in Odessa influenced him, and in 1886 he returned to writing Hebrew fiction. The pogroms of this era and the beginning of the Russian Revolution in 1905 drove him from Odessa, where he was the leader of a group of Jewish writers (Achad-Ha`am, Bialik, Dubnov), and he settled in Geneva. He returned to Odessa in 1908.